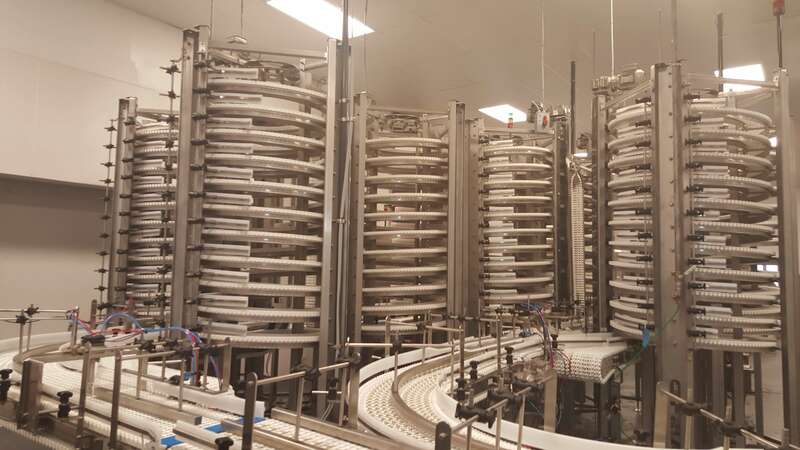 Kraken Automation has developed some of the fastest and most efficient, reliable, and economically-viable product infeed and conveying systems available in the world today. 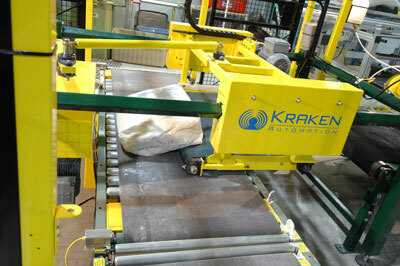 Kraken infeed systems and high speed transfers can deliver bags at rates of 240 bpm (bags per minute) on a single machine. 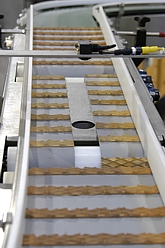 Bag-in-Box cartoning is used across a wide number of industries, though most predominantly in food manufacturing. 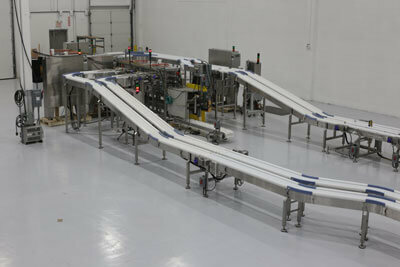 Cartoning and product bagging machines—called VFFS systems—are, for the most part, standardized and tested. 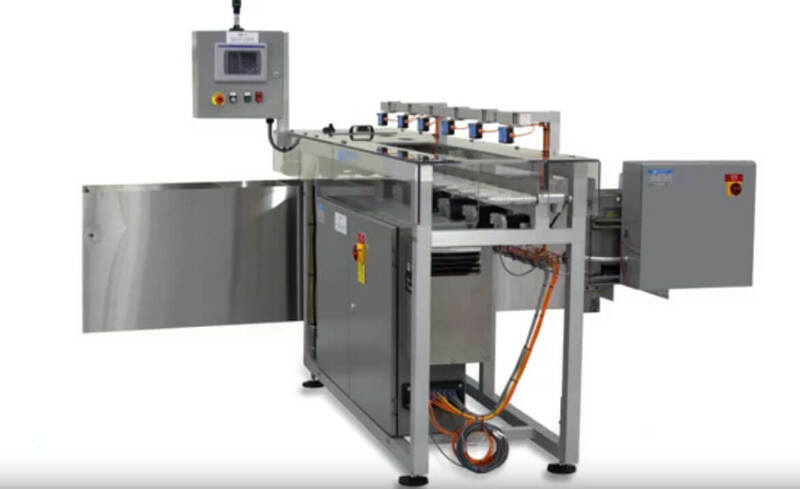 The typical challenge to the packaging line has always been the infeed conveyor and delivery systems between other modules such as baggers, flow wrappers, cartoners, case packers, and other larger-scale machine units. Due to advancements in the ever-evolving field of motion technology, and thanks in part to new developments by Kraken Automation, this is no longer the case. 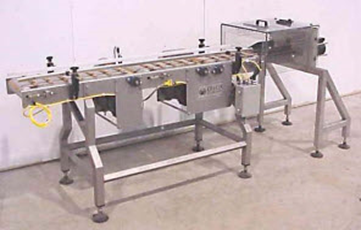 Kraken has replaced the older methodologies that employed the use of mechanically-driven overhead sweeps and slide gate assemblies, now allowing products to be oriented and delivered on-time at rates never before established or even imagined.